Our Dual Lane Double Funnel with Pool is a dual lane alternative to our single lane Back Yard Slide and it's a treat for the eyes! Two seperate lanes allow the kids to slide down side by side. Same great features with double the fun! 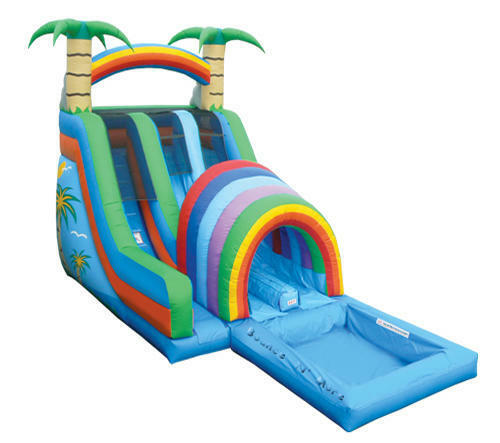 It can be used as a wet or dry slide.